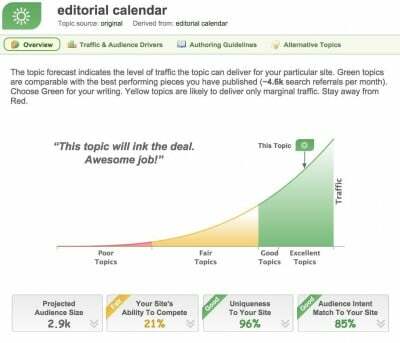 Last fall I wrote a review on InboundWriter; a web-based application (and sponsor of the Content Pros podcast) that forecasts how content will perform before it’s written. 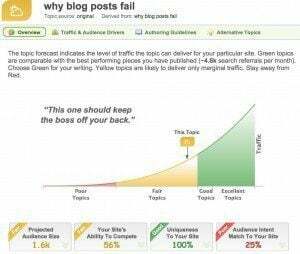 The truth is that most blog posts – and most content of any type, really – fails. As I’ve written about in the past, the “album era” for blogs went away when competition increased and Google Reader was overtaken by Twitter as a curation mechanism. Today, it’s all about the hit singles. A large percentage of the traffic on this blog, Convince & Convert, comes from a small minority of what’s published here. The same is true for your blog, guaranteed. 1. Content Marketers continue to struggle with production and execution of high quality content. The number one challenge for content marketers cited in Content Marketing Institute’s 2015 B2B Content Marketing Benchmarks, Budgets and Trends is ‘creating engaging content’. 2. Most content fails, and the cost of that failure is real. I did some research and estimated that the cost to produce a blog post is approximately $900 (your costs may vary). But it’s entirely possible that you are wasting $900 each time you publish an underperforming post. As the importance of keywords wanes, the importance of time spent on site and other factors increase in importance. This makes it critical that you produce content that has a shot at resonating with your readership. Given these factors, if you could know in advance how content would perform before you created it, wouldn’t you want that knowledge? I do, which is why we now use Inbound Writer for most of the content we produce here. I want to give you what you want (and what Google wants). Maybe that’s soulless and prevents me from “writing from the heart” or whatever, but this is a business, not a teen diary. If you want to feel what I’m feeling, watch my Jay Today show (or whatever comes next, as I just wrapped that production this week). You don’t make outdoor plans without checking the weather forecast. Why plan and build content without knowing how it will perform? 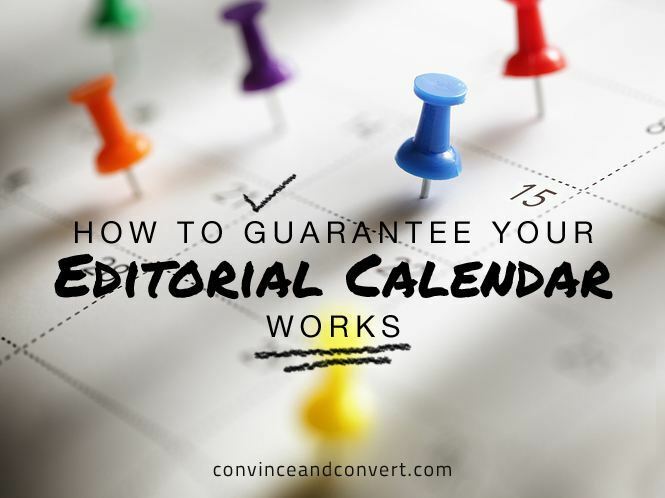 Does Inbound Writer Actually Make Your Editorial Calendar Better? There’s no point investing in software to help you craft more blog hits, unless that software actually helps do just that. We published 18 pieces of evergreen content through InboundWriter that were forecasted to do well. Alongside this, we published 69 pieces of content (the ‘control group’) the way we had in the past, using our own editorial intuition. The InboundWriter content drove a 4.4x increase in organic traffic and a 2.2x increase in total page view generation, versus the control. Using InboundWriter we generated more page views with 77% less content created. I was impressed, and, as a result, have continued to use InboundWriter. The long-term results have been stellar. Traffic to the Convince & Convert blog is up 24.83% from January 1 – August 7 of this year, compared to the same period in 2014, and I attribute a lot of that to our amazing cast of bloggers, and to Inbound Writer, since our editorial calendar and publication frequency has remained essentially static. But to say “traffic is up by 25%. Yay, it works!” isn’t definitive enough for me, so we conducted a revised test of posts we wrote using Inbound Writer’s guidance, vs. posts where we just freestyled it. Over nine months of usage, posts using Inbound Writer deliver 10.7x the organic search traffic. 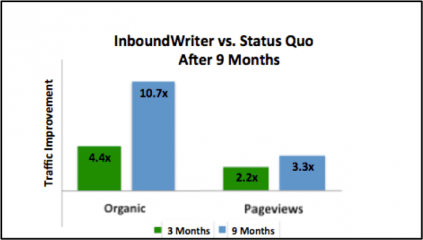 Posts using Inbound Writer deliver 3.3x the traffic overall. Using a tool like Inbound Writer and understanding what works well for your audience (and Google), and what works less well, has benefits that are not insignificant. 1. More for Same. You could publish the same amount of content and generate more traffic. This is what we are doing here. 2. More for More. Armed with insights into the ingredients of your hits, you could increase your publishing frequency while also boosting your per-post traffic. 3. Same for Less. By not publishing posts that you are fairly certain (per Inbound Writer) won’t break out, you could keep your overall traffic the same (or even higher) while publishing less often. This is a cost savings that could be significant. Bottom Line: What’s This Worth to Me? In B2B or other highly competitive digital marketing environments, companies will often gladly pay $1, $5, $10 or more for a click, via paid search or other mechanism. For me, readers of this blog and listeners to our podcast network don’t convert to consulting clients at a high ratio (this is by design). Consequently, the value of a click is essentially the value of our ability to sell ads to sponsors (by the way, go click on some of them over on the left, they are all great companies). I won’t go through all the math here, but a single new visitor here is worth about 33 cents to me. (I love each of you, and your trust in me is incalculable in its value, but that’s just the math of the media business). So if an average post here that doesn’t use Inbound Writer generates 1,000 visits, and the average Inbound Writer-fueled post creates 3,300 visits (3.3x, which is what we’ve seen), the economic impact for me over the long term on a PER POST basis is $759. If you gladly pay for targeted clicks at $1, the same ratios would create a per post value of $2,300. I used Inbound Writer to help position the post you are reading. Today’s content marketing success formula is different – a lot different – from the formula of 2013 and prior. Hitting singles and doubles on a consistent, daily basis doesn’t yield results like it once did. The competition is too intense, and the relationships with readers are too diffuse. Now, content marketing success is about home runs and strikeouts. Times change. Technologies change. To execute content marketing at a high level you need to evolve. The ‘production’ mindset of simply building a content calendar and creating solid stuff every day will not take you where you need to go. It will increasingly yield more strikeouts than home runs. We’re big fans of working smarter, not harder, and making intelligent use of data and insights to provide an edge. Given our results with InboundWriter on this site, predictive content analytics needs to be part of the toolbox of serious content marketers.